At the Bibliothèque Nationale in Paris there exists a very unusual 17th century manuscript of music for solo viola da gamba (lyra viol), known only by its shelf number Réserve 1111. This tiny leather-bound book is elongated and has 270 pages. Compiled by at least eight different individual hands, the music is notated almost entirely in tablature and reflects a variety of scordatura tunings. It was acquired by the Berlin library in 1880 and is generally thought to originate from the Brandenburg region that is part of northern Germany. Near the end of the Thirty Years War, Brandenburg started to regain its prosperity and stability under the leadership of Frederick William, known as the 'Great Elector' (reigned 1640-1688). Quite a number of the finest viola da gamba players of the day are known to have visited or spent time there. Frederick William himself played the treble viol. Réserve 1111 has never been published in a facsimile or modern edition. 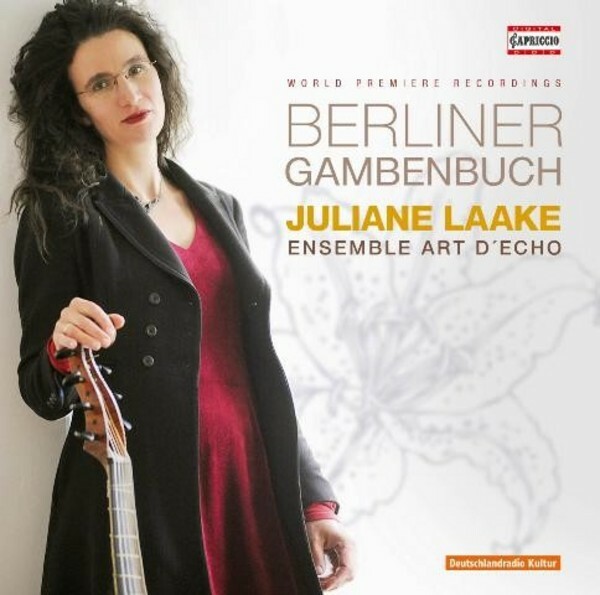 Not only were there a great number of pieces with which to come to grips, but Juliane Laake also had to find some way to organize them into a coherent and presentable narrative. What you hear now is a record of her exploration and sleuthing and discovery.